Size: approx. 5 mm. Photo: 09/05/11, 11 pm. 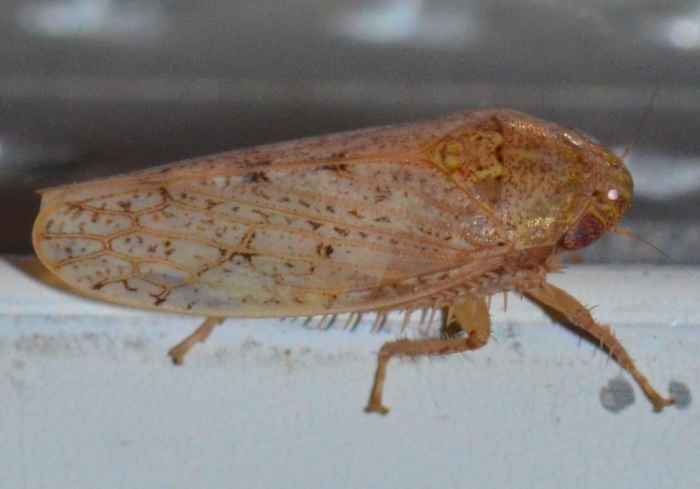 This leafhopper is Ponana rubida. It came to the light of our living room window. The genus has 27 species in North America. 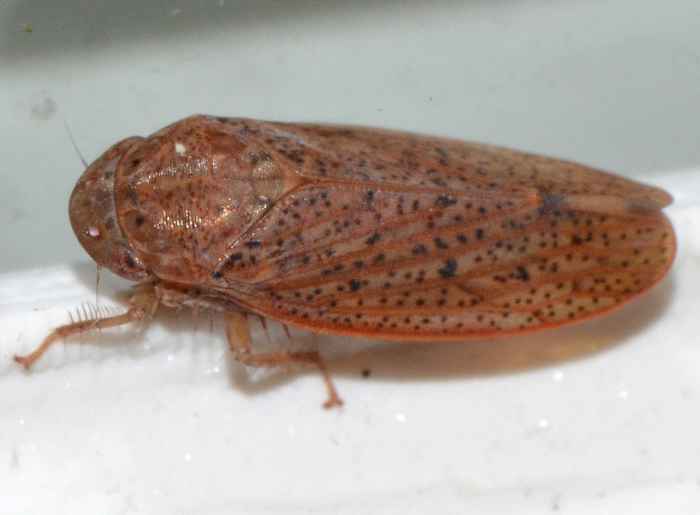 The species P. rubida has very few markings. 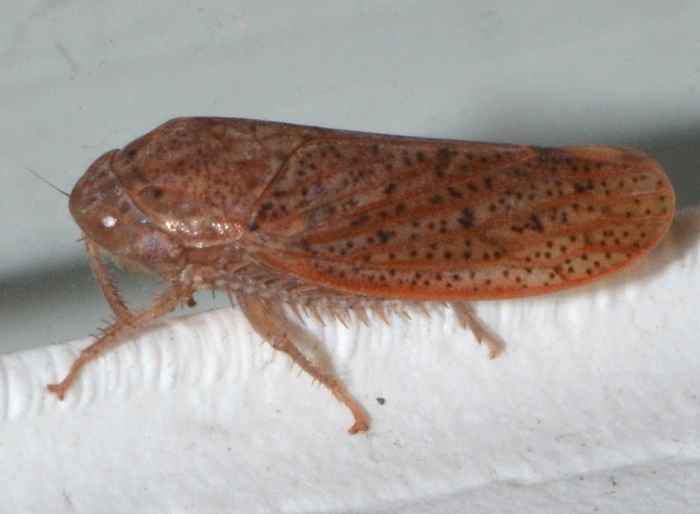 Ponana punctipennis has spot-like markings all over, which distinguishes it from P. rubida. 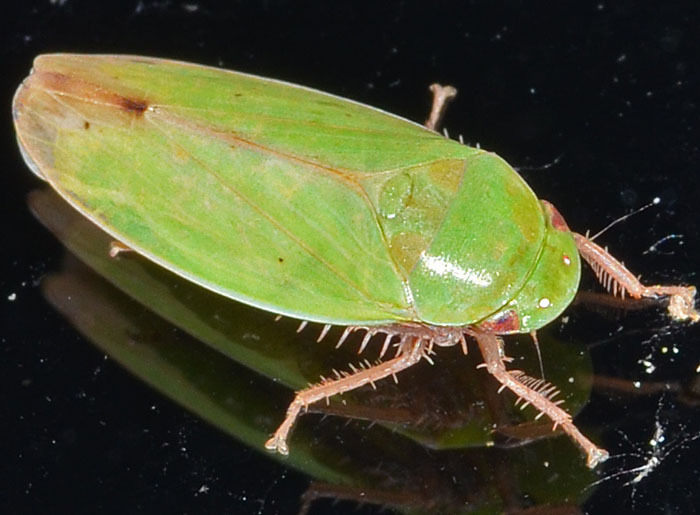 This is a green specimen of the genus Ponana but really doesn't match up well with the reported species. 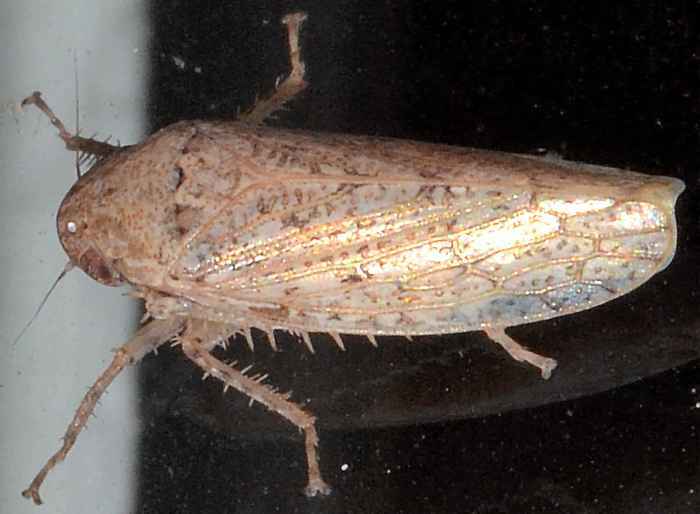 Originally I thought this is another specimen of P. rubia but an expert identified it now as P. puncticollis. 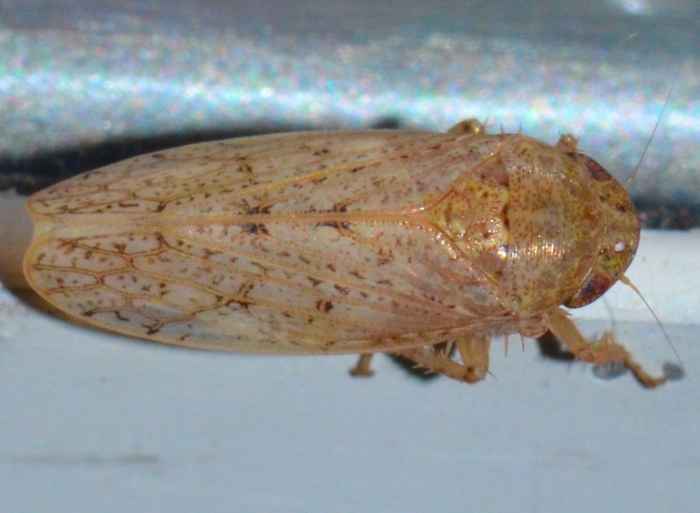 The word 'puncticollis' means 'spot-necked' and the typical length of these leafhoppers is 6-8 mm.